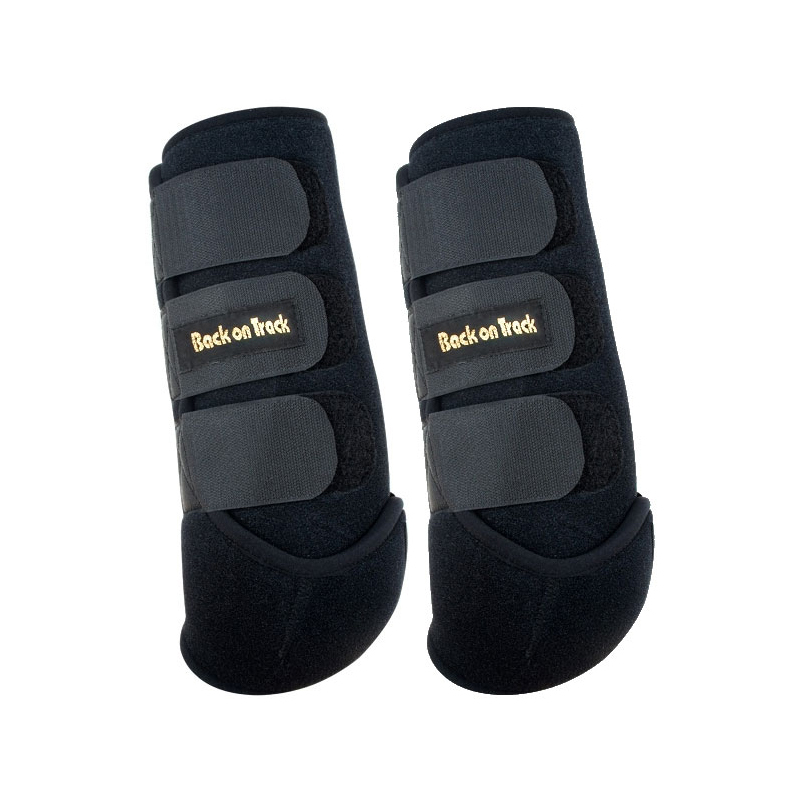 Sold in pairs, the Dressage Exercise Boots are designed with a heavy duty neoprene shell, and the design makes them a very good fit around the lower limb and tendon area. It is difficult for gravel to penetrate, a reason that these boots are so popular. To save time, the exercise boots are an excellent choice. Now you can get the Back on Track effect while training. They have four elasticated hook and loop touch tape straps for attachment, and are used to prevent tendon and ligament injuries, and for horses who have inflammation. They are available in front and back leg options. There is a correlation between quality of movement and performance. Joint flexibility is essential. When using as a pre-competition boot, ensure application at least two hours prior to competing. Perfect for every-day training.